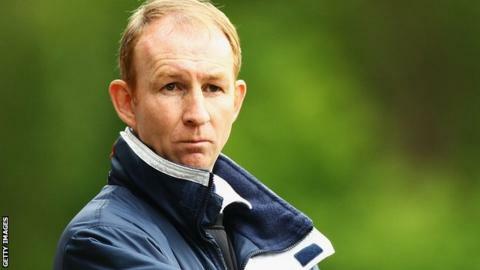 Torquay United interim manager Alan Knill believes the side only needs "a little bit of fine tuning" despite a sixth successive defeat. The Gulls went down on Saturday in Knill's first game in charge. "We're a good side, we've just played against a top of the league side and competed really well," he said. "We just need a little bit of fine tuning to make the game more to our advantage than to the opposition's." Torquay are now only four points above the relegation places, having spent the earlier part of the season in and around the play-off places. And Knill acknowledged they must start turning their form around if they are to avoid being drawn into a relegation fight. "There are quite a few positives but we have to quickly pick up three points," the former Scunthorpe boss told BBC Radio Devon. "We need to pass it and move the ball around the pitch and have the confidence to do it. "The last thing you want is to think that because you've lost 1-0 to a top of the league side, it's OK. It's not OK, we're here to win games. "I'm more than confident and from what I've seen on the pitch we can compete. We just need a little fine tuning, that's all."